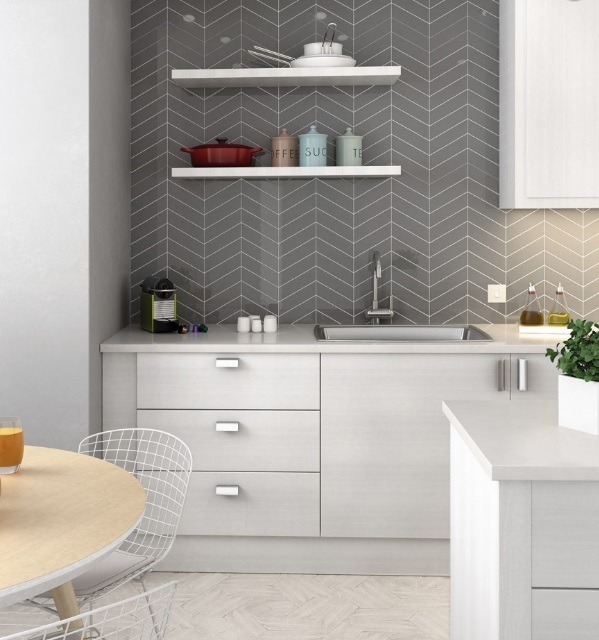 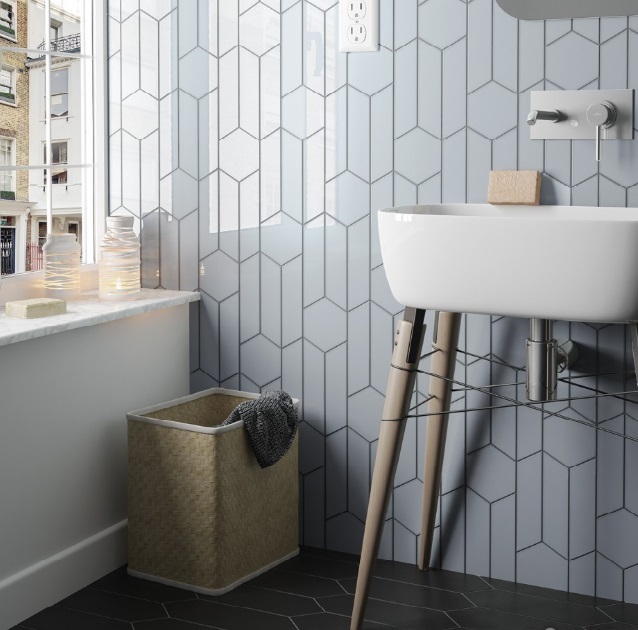 In Focus: Chevron | Pavé Tile Co.
Use a chevron pattern layout to add quiet interest to a space with new and softer colour palettes. 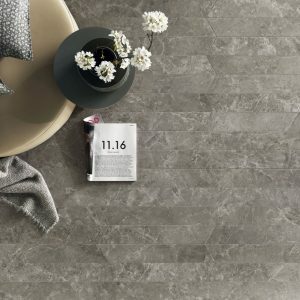 This year, the hot trend is pale blues and greys adding not only visual impact but also a sense of calm and character within a space. 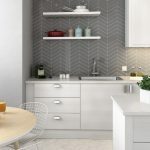 A chevron pattern will guide your eyes to a principal point, in particular with narrow spaces, which can make the space appear larger and more inviting. 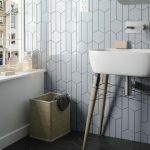 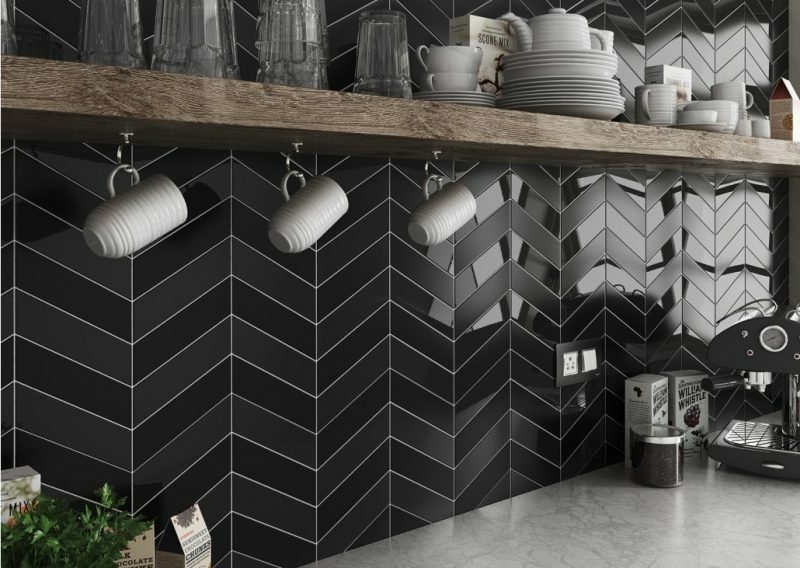 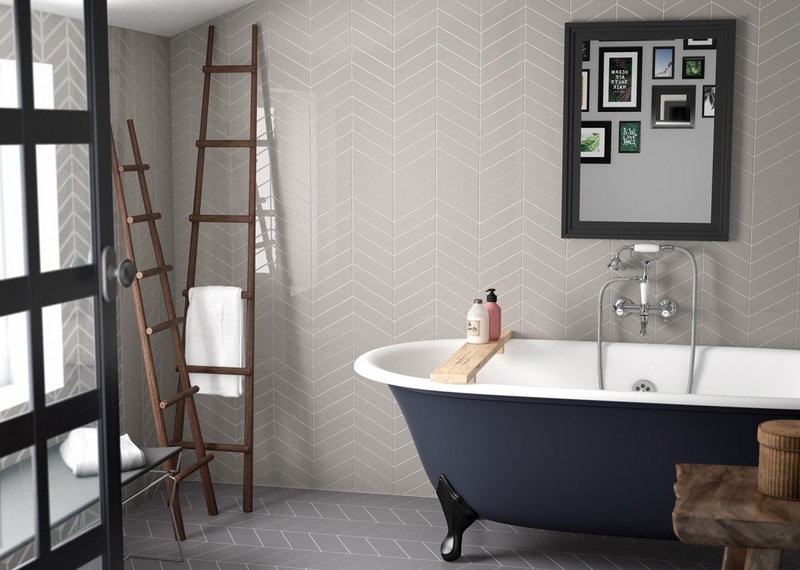 If you are wanting to generate height within a space, this pattern is perfect to create elongation- consider adding a contrasting chevron layout to a wall by tiling all the way to the top, the arrowed design moves the eye upwards and makes the space appear taller. 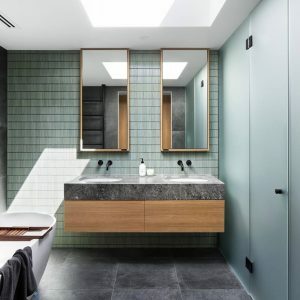 Incorporate a bold blend of shades and textures. 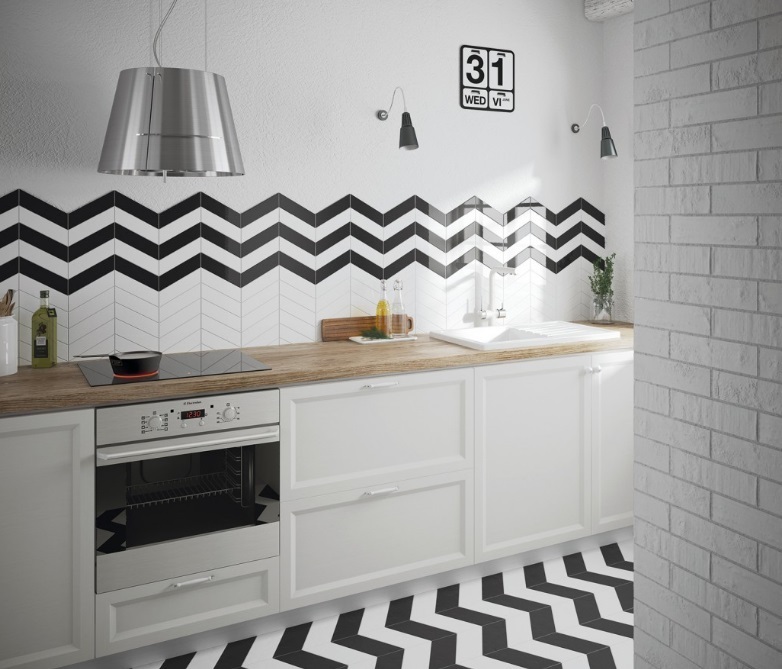 For example mix a mat chevron tile with gloss or a white chevron tile mixed with black to create drama. 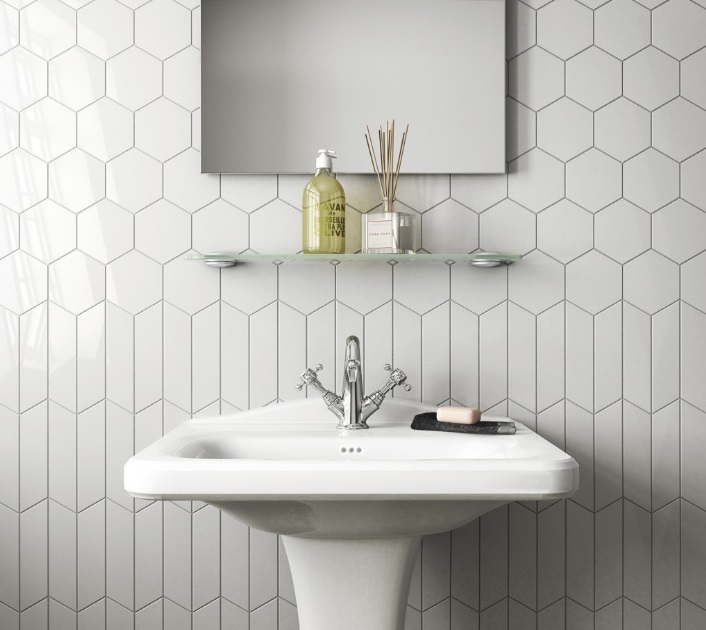 Use grout to contrast the colour of the tile to outline the pattern and create definition. 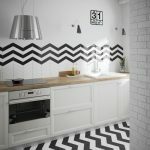 Normally chevron tiles are laid in a W formation, however this can be turn on its head and laid in various formations. 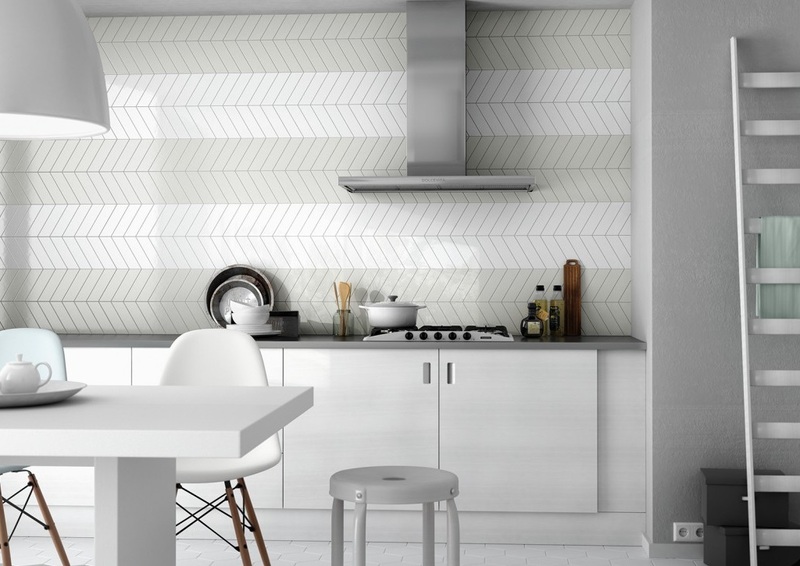 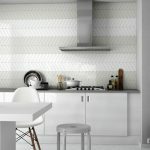 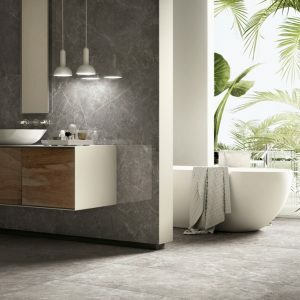 The pattern can be mixed with a hexagon tile or laid vertically. 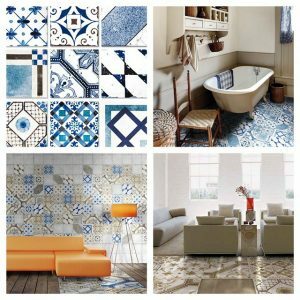 Different patterns have a different visual appeal, and many can add visual width and length to an environment.